AppNexus, the world’s leading independent advertising technology company, today announced the launch of video header bidding capabilities in prebid.js, the free and open source solution used by hundreds of publishers. The offering, called PreBid Video, enables video publishers to realize the best market price for their video inventory, and improves user experience by decreasing latency. AppNexus now provides the industry’s only open prebid solutions for display, mobile, and video formats. Unlike other video header bidding solutions in the market, PreBid Video is open source and designed to support multiple video players, multiple video ad servers, and multiple demand sources. The technology is specifically designed to fight latency by running transparent auctions asynchronously on page load so that video demand can be ready by the time a user clicks “play” in the video player. AppNexus’ video header bidding technology is now available in beta on GitHub, including prebid.js source code, documentation on how to integrate with Google DoubleClick For Publishers’ video ad server, and code samples for a number of popular video players and solutions including video.js, JW Player, Brightcove, Kaltura, and Ooyala. The solution supports instream video for pre-roll, mid-roll, and post-roll ad units. PreBid Video is currently integrated with the AppNexus Video SSP, which consists of demand from hundreds of global video buyers and bidders, with adaptors planned for additional demand partners. 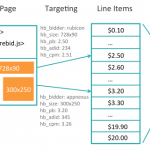 A creative audit process with the AppNexus Video SSP ensures that ad managers running secondary auctions are excluded in order to further reduce latency. As PreBid Video is built directly into prebid.js, the beta version is available to the more than 1,500 active community members, 200 publishers, and 10,000 websites that are utilizing the open source project.